China has cut off all imports of canola from Canada, after customs officials said they found "dangerous pests" in a shipment earlier this month. Farmers working in the $4-billion industry are worried, and just weeks away from planting. We look at how the move fits into the wider tensions between the two countries. After China dropped imports of Canadian canola amid a diplomatic dispute between the two countries, one expert argues that the federal government should be talking to other countries that have weathered similar rows. "We should be thinking about building an alliance with these countries, who have actually suffered like us because they have stood up to China for abuse of human rights," Lynette Ong, an associate professor of political science at the University of Toronto's Munk School of Global Affairs and Public Policy, told The Current's Anna Maria Tremonti. 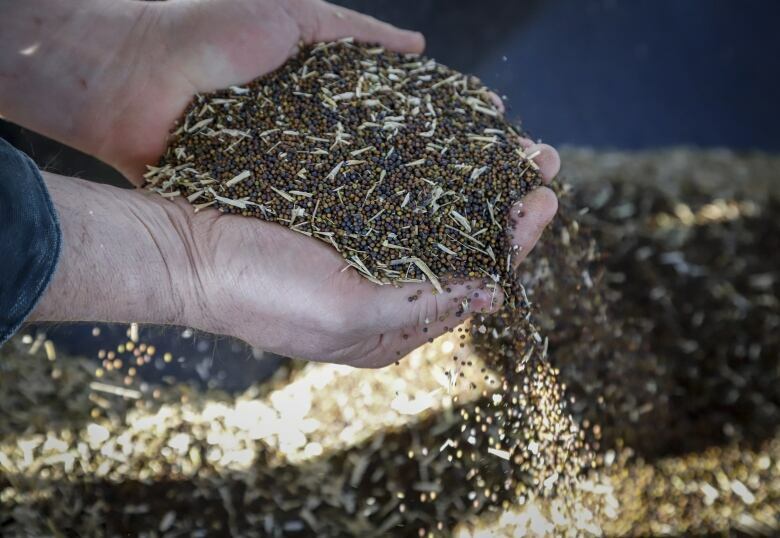 Earlier this month, China revoked the sales licence for major Canadian canola distributor, Richardson International, citing "dangerous pests" such as fungi in the crop. The company has strongly denied the allegation. 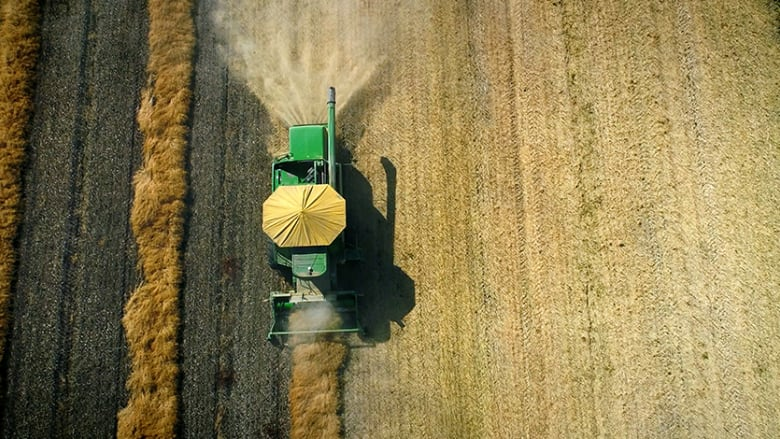 In the weeks that followed, other major canola companies in Canada reported that contracts with the Far Eastern country were drying up. The industry is worth $4 billion annually. According to Ong, Norway and Australia have both seen trade with China affected by diplomatic rifts. In 2010, China placed restrictions on imports of Norwegian salmon, after Norway awarded the Nobel Peace Prize to Chinese political prisoner Liu Xiaobo. Further restrictions followed in 2015 over Beijing's claim that the fish carried a virus, before the ban was lifted in July last year. "They kept talking to each other and eventually I think China decided to put it behind them," Ong said. Earlier this year, Australian coal was refused at a major Chinese port, in what commentators saw as retaliation for Canberra banning the tech giant Huawei from its 5G network. Ong argued that "an alliance would actually help us to rally support, and to increase our leverage and our weight in terms of negotiations with China." "A single country alone would never be able to stand up to China because of its sheer size," she said. Marie-Claude Bibeau, the federal minister of agriculture and agri-food, said that the Canadian government was pursuing a "science-based" discussion by asking Chinese officials to demonstrate what pests were found. No pests were found in samples of the refused shipment — taken before it left for China — suppled by Richardson International, she said. "This is why we are asking the Chinese officials … to tell us where they have found, because obviously if they have found something, we would want to know it and correct the situation as quickly as possible." The Current requested an interview with China's ambassador to Canada but did not receive a response. Tensions between the countries were already high, over Canada's decision to arrest Huawei CFO Meng Wanzhou on behalf of the United States, and China's detention of two Canadians citizens, accused of stealing state secrets. Kevin Serfas, a canola and barley farmer in Turin, Alta., and director of the Canola Council of Canada. Lynette Ong, associate professor of political science at the University of Toronto's Munk School of Global Affairs and Public Policy. Marie-Claude Bibeau, federal minister of agriculture and agri-food. Produced by Julie Crysler, Julianne Hazlewood and Ines Colabrese.